From the itinerary, we had an abstract idea as to what we might be served. It is a set of various stops, numbered 1 to 7. ”1. The Day Before We Go: Are we there yet? Our ”journey” started with the preparation of the journey the night before. We were served with a cute little beetroot snack. It was very light and full of beetroot flavour. 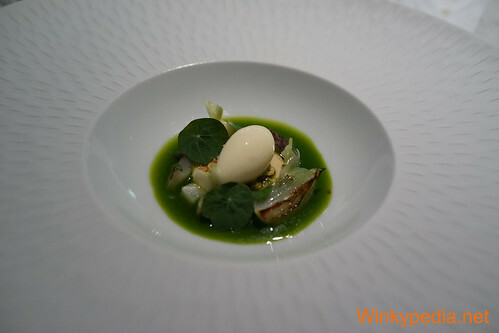 It was then followed by another refreshing dish, which has artichoke, water cress and smoked yoghurt. I must confess that as there was no written menu and the waitresses had a very strong accent, we could only hear the core ingredient. We had to guess the rest from tasting, which was actually fun! 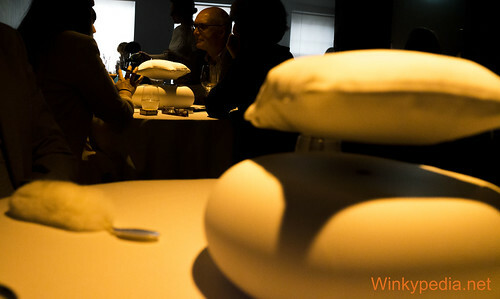 The lighting of our table varied throughout the meal to set the scene. Started from evening (bar), to morning, to day time, to evening (bed time). We ‘‘arrived” at the ‘‘hotel” at night. A welcome drink selection was offered. 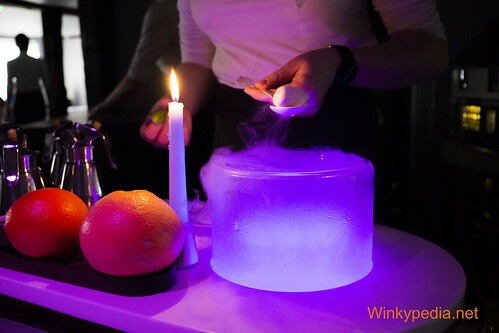 I chose ”Pina Colada”, which was made in front of me with dry ice. It has intense signature flavour of the cocktail, but light as air. And as I ”drank”, smoke came out from my nose. Hence, the ”dragon”– Fun! Excuse me, there seems to be a rabbit in my tea. Signaled by change of lighting, we woke up to the next morning. Greeted by the waitress, we were served a cup of tea, looking like it is in true English style (photo below).Except that it was hot on one side, and cold on the other. And it did not taste like tea- it was rabbit soup! Breakfast was next of course. Though instead of giving us a choice between English and Continental breakfast, we were told they would be serving BOTH in one go. First, we were served a bowl of ”milk” and we were asked to choose our ”cereal” from the selection below. The waitress suggested I picked Queenflakes as it suits my style. I sensed that there might be a reason for it so I duly obliged. 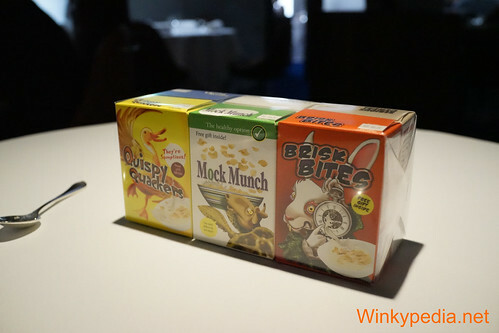 Curiously, each box contained a bag of cereal and a toy. We were told that the first person who finished putting the pieces of game together would win a price. Being competitive as I am, I played with the toy before having breakfast. 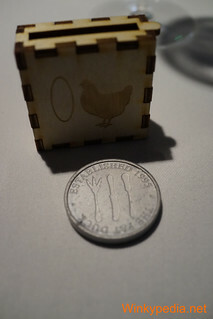 I built the little piggy bank and won a coin, which I was told would be useful later. Then I noticed that the graphics on the piggy bank were a chicken and a hoola hoop, which was my childhood memory – I used to have a pet chicken and I trained her to jump hoola hoop. How sweet! 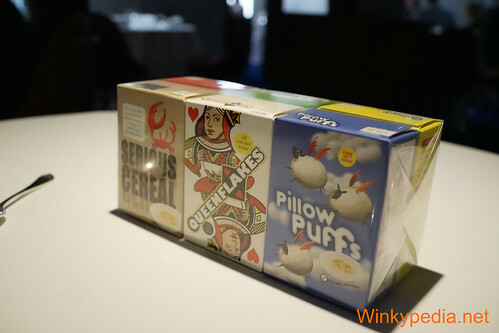 Our cornflakes were actually Full English Breakfast flavoured flakes, which surprisingly tasted like Japanese crackers. The ”milk” in the bowl might look like one but not exactly. It had an egg custard/ jelly underneath, which was the ”scrambled egg” element of the Full English Breakfast. What a clever twist! This was a dish I had before in 2010- we ate with the ”sound of the sea” playing in our ear through earphone placed in a big seashell. 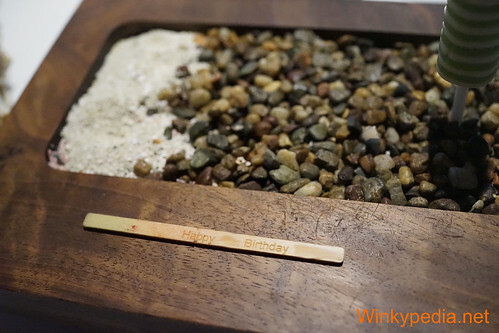 It was served on a glass box with sand underneath. This 2015 version (photo below) had an additional oyster leaf, which tasted just like oyster! Still loved the sea foam and sand. 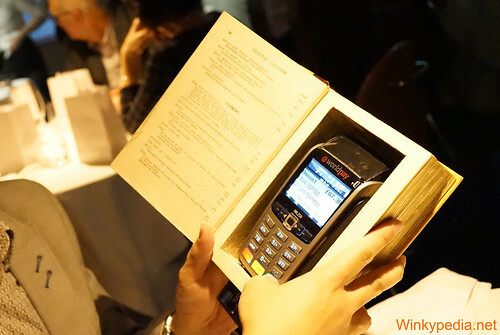 Back in 2010, I was unimpressed by the lack of poetry in using ipod nano to play the music, even though I liked the idea of using sound to enhance the food experience. 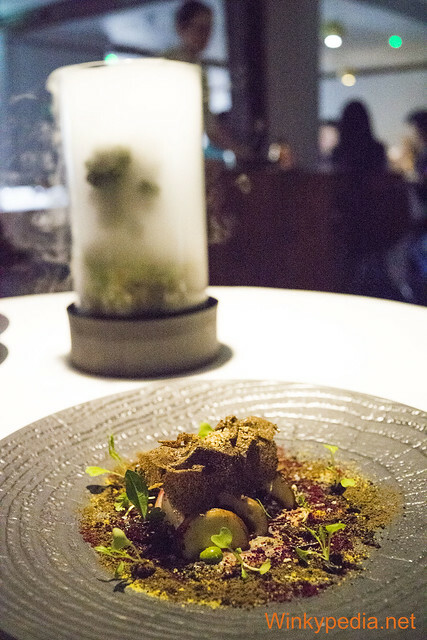 If Heston could come up with a better way to deliver the sound of the sea, this dish would be perfect. It would not be seaside without an ice-lolly, and we were given 2. Yay! Hang on, it was tasted like Waldorf salad (left) and there was a salmon inside the other one (right)! And I discovered a ”hidden message” in my lolly- sweet! One treat after another. 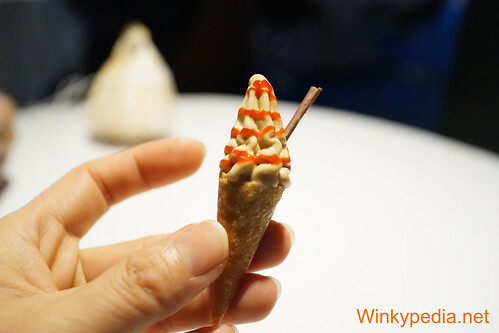 I love this crab ice-cream (mousse)! 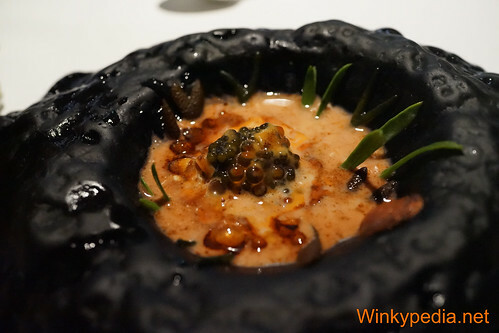 A crab (white chocolate shell) was playing in the rockpool, then came the sea (a bisque poured by the waitress) and this lovely dish was reviewed. You could still see the crabs craws poking out! The waitress brought out a glass cylinder with a bonsai- looking plant in it. Another one brought out a fancy teapot. 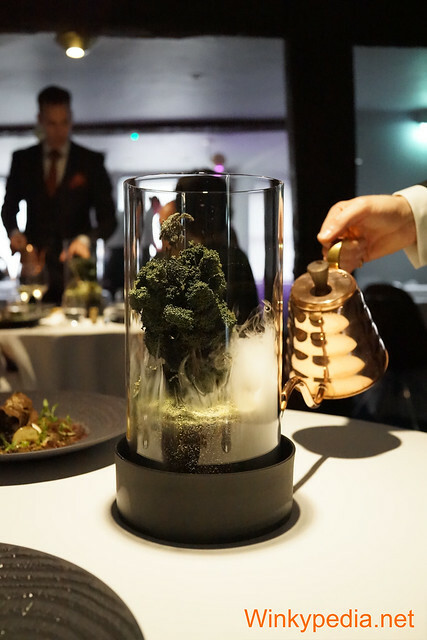 Our surrounding was then filled with a curious smell of moss and the cylinder turned into a magical smoky centrepiece. That set the scene for the next dish, which celebrated mushroom and truffles. For me, this was the best of the whole ”journey”. The mushroom soil was the highlight- Everyone had tried chocolate soil in desserts but the mushroom soil was just in another league. 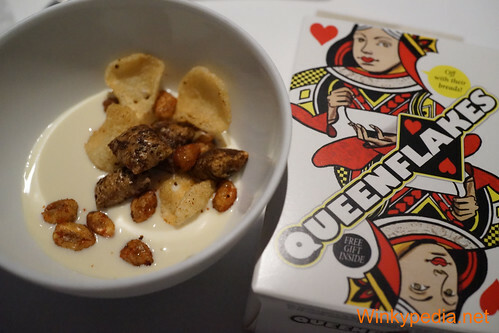 In all, it was an earthy and complex dish, full of flavour of mushrooms in various forms/textures. The smell of moss enhanced truly enhanced the dining experience. A-M-A-Z-I-N-G!! 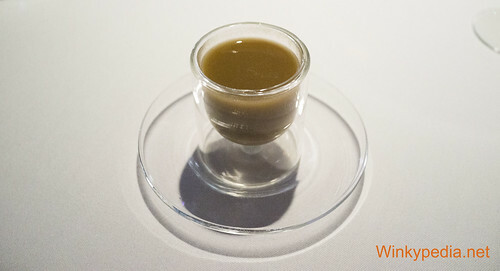 The next dish was Mock turtle soup, which I tried back in 2010. It was inspired by Alice in Wonderland. 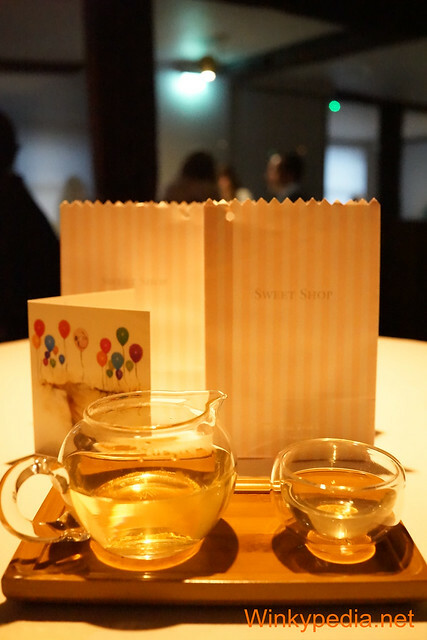 This time, the ”tea” was served in a teapot and we could pour it ourselves in a tea cup. 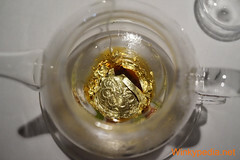 It was still magical to watch the ”gold pocket watch” transformed in the consomme. The turnip centrepiece in the cup was sharp but went well with the speck. 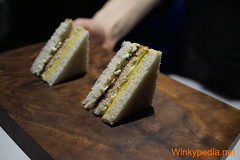 This 2015 version even came with a sandwich with a toasted inner layer. “5. Evening: Are you ready for dinner? 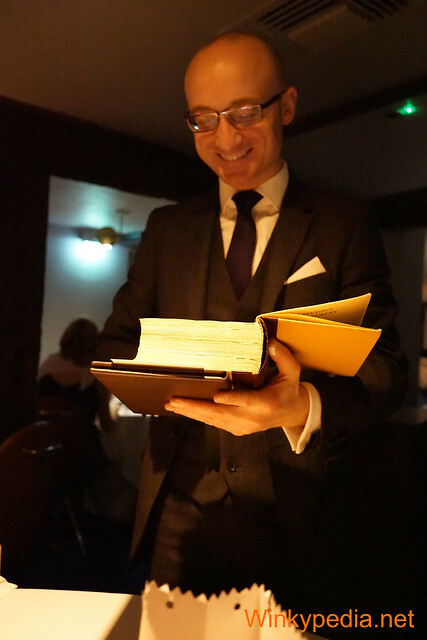 ”Welcome to Fat Duck”, the waitress greeted and signalled to us that the meal had just began. (What? I was nearly full!) Bread was first served- it was a sourdough with 10% toasted wheat, a recipe by The Bread Factory. It was soft and light on the inside with a thin but crusty outside. Wow! It was so fantastic that I had to physically stop myself from eating them. Otherwise I would be too full to eat anything else! First course: prawn cocktail, which was in fact lobster. The black sesame drops and super thin seaweed crisps gave a very oriental taste. 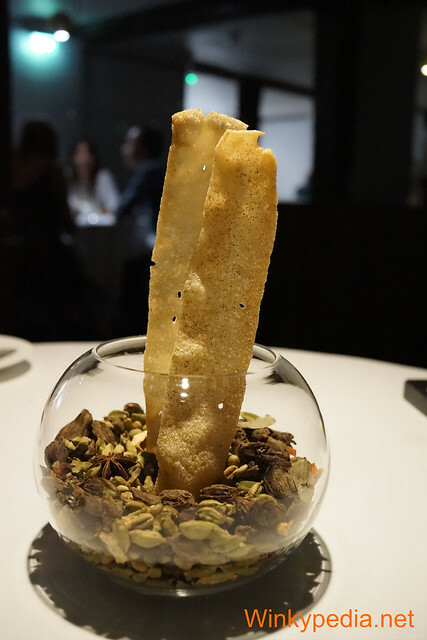 As for the main course, we started with a duck tapioca cracker, served in a glass bowl of spices. 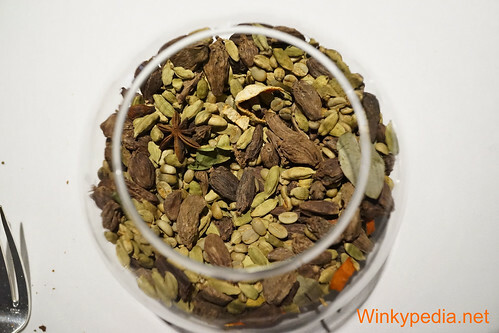 The heated spices released a wonderful aroma, which set the scene for the main course, which was cooked with the same spices. Here came the main course: Duck with orange. 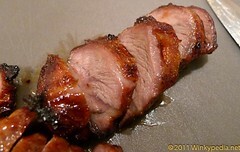 It was a piece of duck cooked beautifully with a crispy skin. 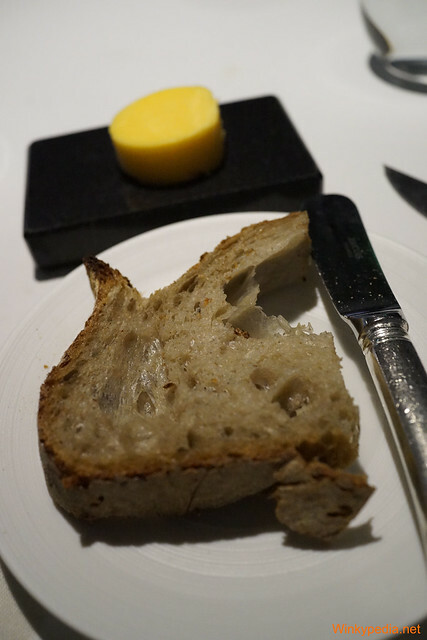 However, this dish was the most “ordinary” in terms Heston’s terms. There was no surprise. It could easily be one served in his other simpler restaurant, Dinner by Heston. It came also with a simple duck roll. 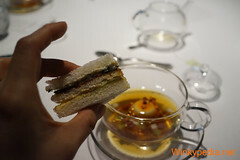 It tasted like Chinese aromatic crispy duck, which is not my cup of tea. 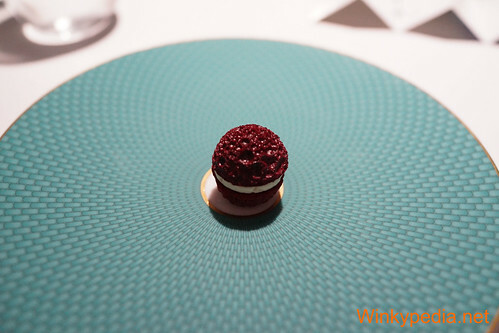 Luckily, the reputation was soon reclaimed by the dessert, which was Heston’s take on ”wine and cheese”. It was inspired by noble rot, which was key to the making if Sauternes, the famous Bordeaux dessert wine. It was full of delicate and elegant pearls of delights. Presentation was simply superb. The plate was slightly raised on one side to enhance the volume of a butch of grapes, which came with its sugar vine leaf and churros stalk. Each ”grape” had unqiue flavours and textures but they all formed part of the characteristics of the special grapes (Sémillon,Sauvignon blanc, and Muscadelle). 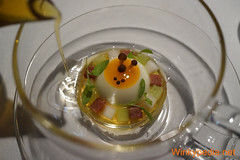 Even better, the dish was tied together beautifully by the smooth fluid gel which reminded me so much with Sauternes. And let us not forget the lovely cheese soil. 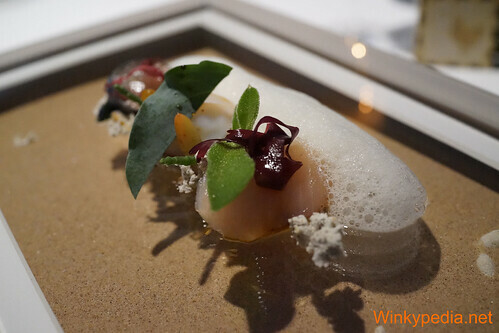 In Australian Master Chef Final 2015, this very dish was the core test of its Pressure Test, which saw my favorite contestant Billie McKay winning the title. The contestants had 5 hours to produce the dish following Heston’s recipe, which had whopping 66 steps! Knowing the steps, techniques and craftsmanship involved, it made me appreciate the dish even more! 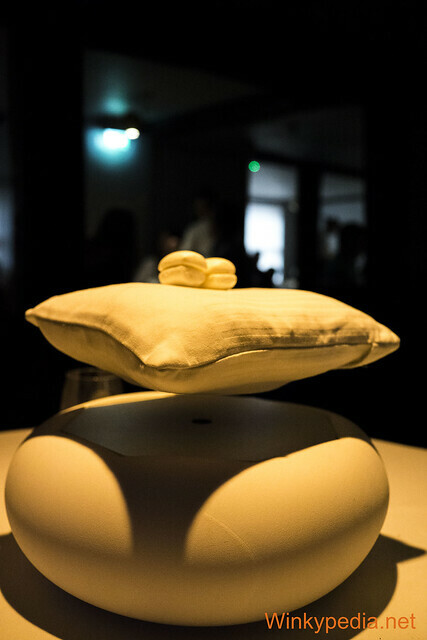 For example, Heston noted that it took a professional chef 2 months to learn how to blow sugar, in order to create a beautiful golden sphere- the centrepiece of the dish. Marvellous! 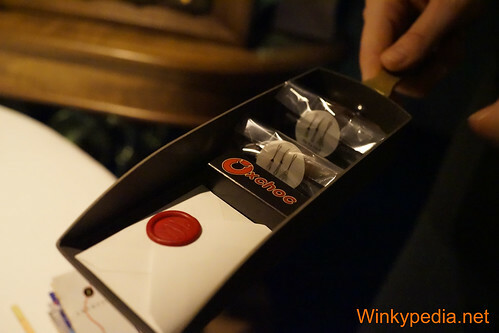 After the dessert,there came the digestif- whisky gums. I tried this in 2010. 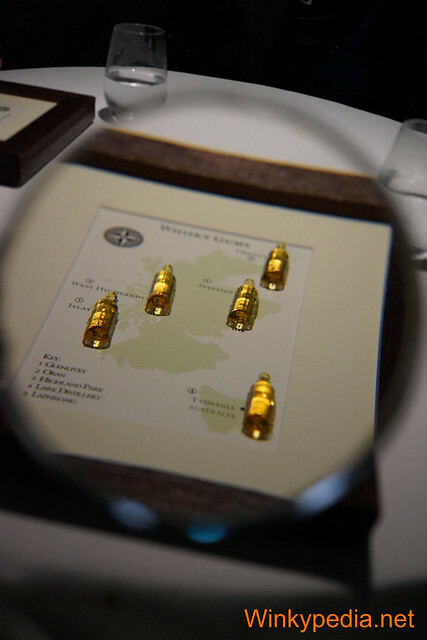 They were made using whisky from different regions of Scotland. After over 6 months in Australia, Heston has added a whisky from there in the 2015 gum selection. 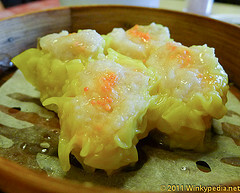 The gums recipe has improved- they were chewy at first but dissolved gently in the mouth later. In terms of region,Speyside is still my personal favourite. The lighting gradually turned warm and dimmed. It was bed time. 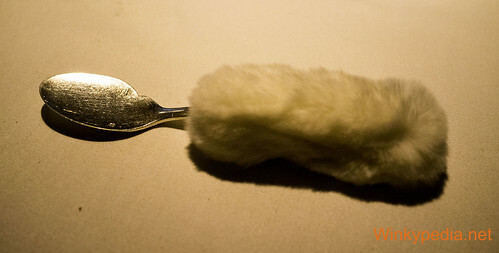 The waitress brought out a tray with two curious spoons and baby powder. We had one each. It was furry and had a soothing smell of baby (powder). 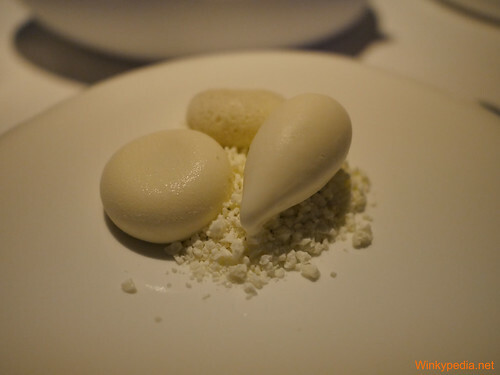 The theme of this cheese was milk, in different forms: sponge, dust, ice-cream and mochi-alike. The star of bed time had to be the floating pillow. Each table had this centrepiece. It was simply therapeutic and calming to watch it gently spinning. So much fun! We were all ready to sleep…. The little drawers danced with the music. When the music stopped, one drawer stayed opened. 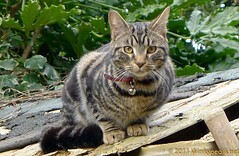 The waitress pulled it out like a tiny spade- that was where my treats were (photo below). Yay! Oxchoc – It was inspired by a Quaker creation in 1890s, a bar of chocolate beefed up with meat extract. 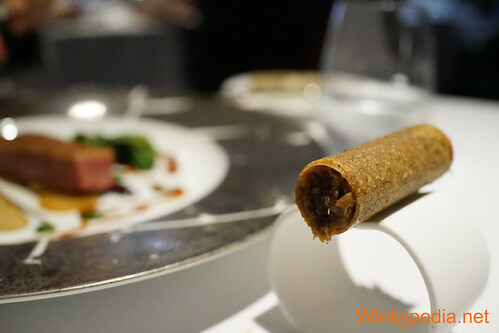 The Fat Duck version had layers nougat, shortbread, soft caramel encased with chocolate. 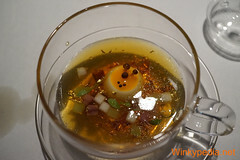 The secret ingredient was beef consomme, which enhanced the richness and flavour of chocolate. Fantastic! The hot drink menu was interesting. For the first time ever, we got a menu with £0.00 as price!! 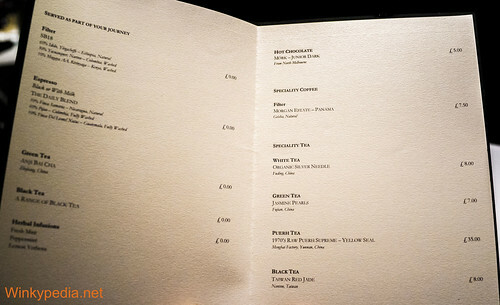 Some of the drinks were already included in the price, with others being optional extra. The sweatshop takeaway paper bag (for those who were too full to eat the sweets) also contained a birthday card, signed by the Fat Duck team. Sweet! 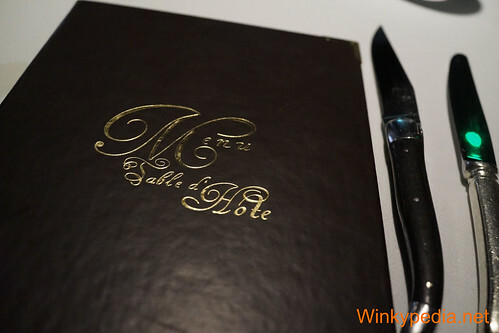 The idea of trickery could be seen in many parts of the restaurant too. 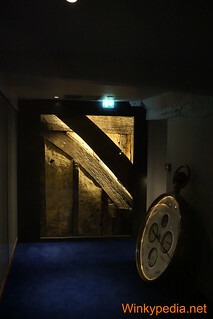 Upstairs, there was a huge golden pocket watch which blurred your sense of scale. 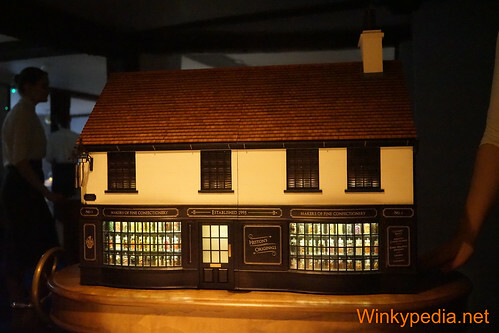 The wine cellar was hidden behind translucent glass panels. Each pane could turn transparent to reveal a glimpse of the inside as diners walked past (on the way to the toilet), as it was triggered by pressure sensor on the floor. 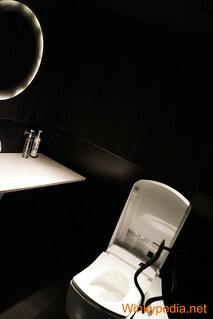 The toilets have huge TOTO water closet, which had an automatic lid, and all its famous bum cleaning features. 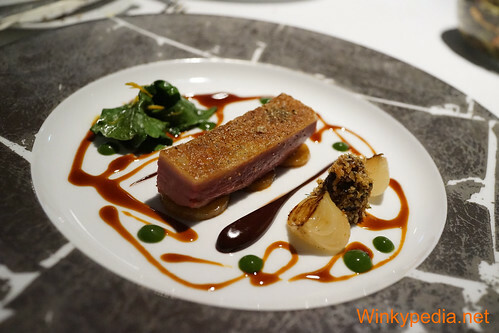 I have been to the Fat Duck a couple of times before, I knew that it is always a challenge to make a reservation there. This time, it was even harder. Back in September 2015, it was even more so as they only just re-opened the booking system, the only mean of booking, after a major closure for refreshment. The system had a glitch- I patiently tried booking various dates that was shown as ”available” but as it went further through the booking procedures, they became unavailable. I initially thought the dates were just gone due to popularity. However, when I tried later, those dates reappeared as ”available” again, but turned ”unavailable” after I filled in the details. There was no number to call for help/ report any issue unfortunately. After A LOT of attempts, I finally managed to book a table and obtained a number to call (with a code) to enter before I could speak to someone in the customer service department, notifying them with issue. The lady on the phone was quite arrogant and she refused to believe that there was an error in the system. After a long conversation, I finally managed to get the reservation secured at the date I wanted. 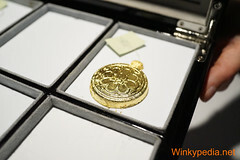 It was great to see how the Fat Duck evolved. 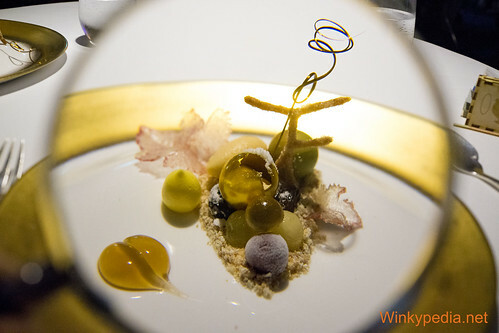 When I first visited in 2006, the tasting menu was about showing off new and exciting cooking techniques. 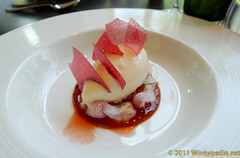 Back then, molecular gastronomy has just started to become cool in UK. It was certainly amazing to eat there. We had a relaxing weekend lunch from 1-5pm. 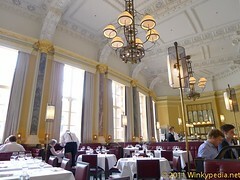 The service was quite slow between courses but it did not matter that much as there was great company. 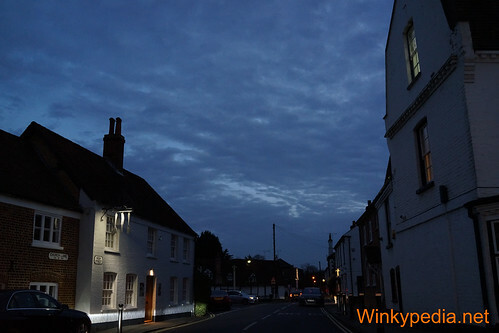 We then had a stroll in the lovely village of Bray after the meal. The meal in 2010 was the most unimpressive. It was the time when Heston had a lot of TV programmes on. The tasting menu started to have narratives, but some were a bit forced. The technique used in the cooking was quite similar to 2006. It was not very memorable. How about 2015? The meal had more than tripled in price since 2006. Heston has become more internationally famous than ever. Ambition grew too. Dining is no longer just about food, but the whole experience from the moment we arrive. 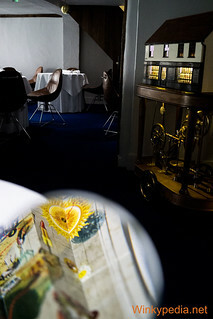 The whole tasting menu is tied together by a story of travelling, based on Heston’s childhood memories. 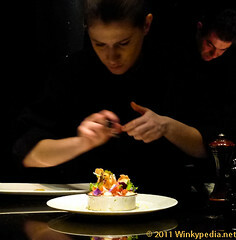 It is enhanced by not only just flavour, but texture, lighting, smell, sound, movement and playful subtle scene setting. There was not a dull moment in the meal as there was always something curious for us to wonder, amused or amazed by. It was fun and exciting, just like how a good holiday should be! 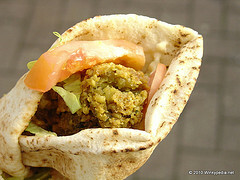 In terms of the food itself, there were a few dishes repeated from 2010. But I could tell that execution has been reviewed and carefully improved. 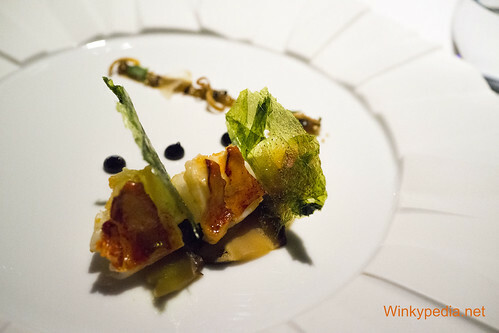 The new dishes were complex, with more contrast but yet balancing flavours and textures. Presentation has become more exquisite too. 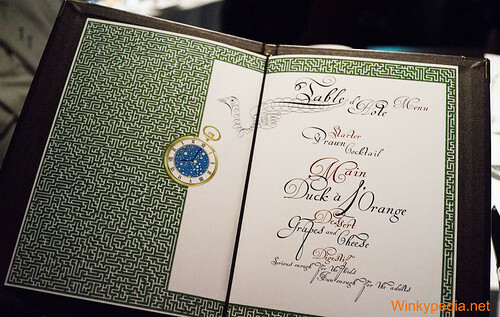 They even managed to in find ways to introduce personalised surprises in the meal, which was made us feeling special. 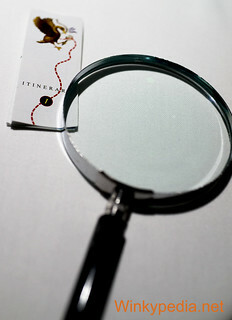 If ”the itinerary” was a play, it was a well rehearsed and brilliantly executed one. The timing of each course was fantastic with minimum waiting. 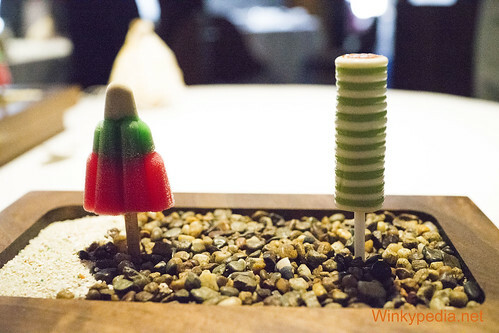 Comparing to 2006, the Fat Duck has transformed so much! One minor criticism though, as there is always one for a perfectionist: I questioned the use of glass in such a small dining area. The problem of glass is that it reflects. The table next to us had a lady who talked very loudly and sitting next to the glass walls meant that we could not have a quite moment to ourselves- her voice just got amplified like surround sound. It was awful! Luckily the helpful staff let us move to another table so our romantic dinner did not get disturbed. It would be better to request a table away from the glass walls at the time of booking if you would like a tranquil and enjoyable meal. Great review, Winky. Glad to see you posting again!